WWE’s notoriously lengthy Hall of Fame ceremonies are beginning to manifest themselves in the once-rare two-time WWE Hall of Famer. 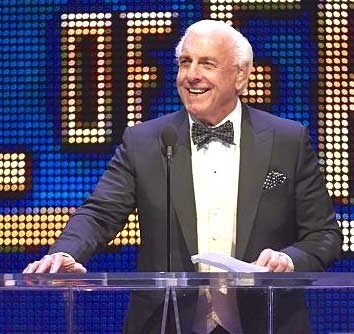 For years, the first and only two-time WWE Hall of Famer was Ric Flair, who was inducted as a solo performer in 2008 and then again as a member of the Four Horsemen in 2012. 2019 will see the addition of at least two more members to this unique fraternity as both Shawn Michaels and Booker T will re-enter the Hall of Fame as part of D-Generation X and Harlem Heat, respectively. With rumors of Bret Hart and Jimmy Hart being re-inducted alongside the the late Jim “The Anvil” Neidhart, as part of the Hart Foundation, the once-elusive list of two-time inductees could spread across WWE’s Hall of Fame like the Ebola virus.